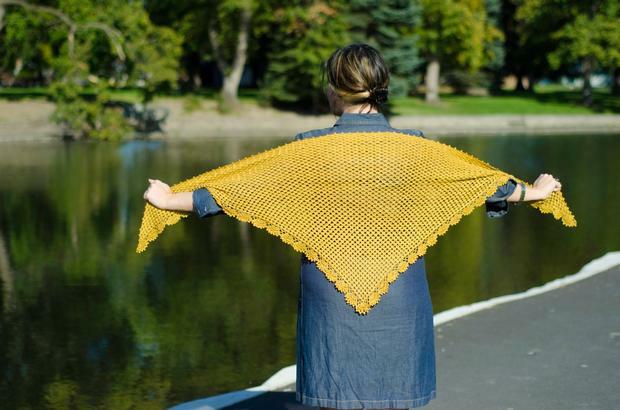 Gilded is a beautiful lightweight lace shawl that instantly brings opulence to any wardrobe piece. 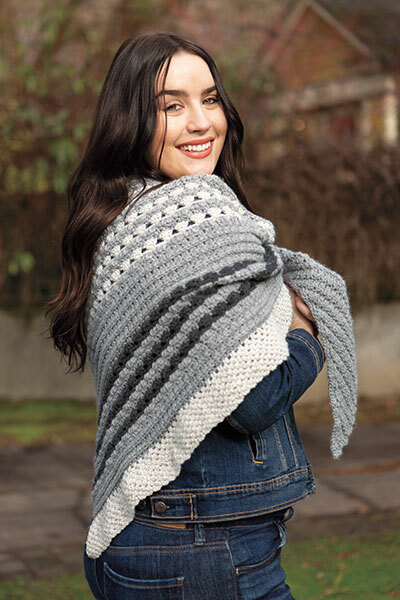 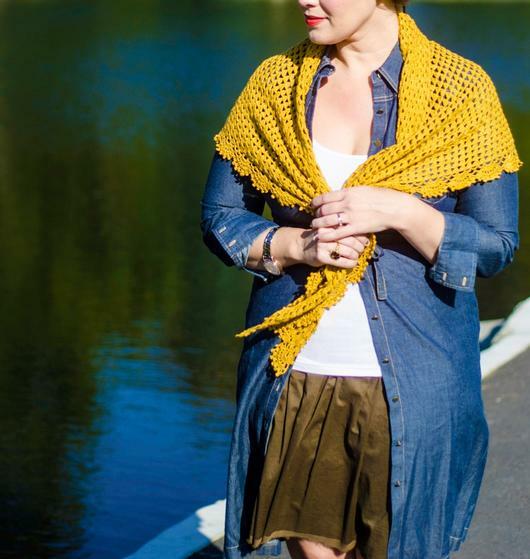 A simple repeat makes up the shawl, making this perfect to crochet while visiting with friends. 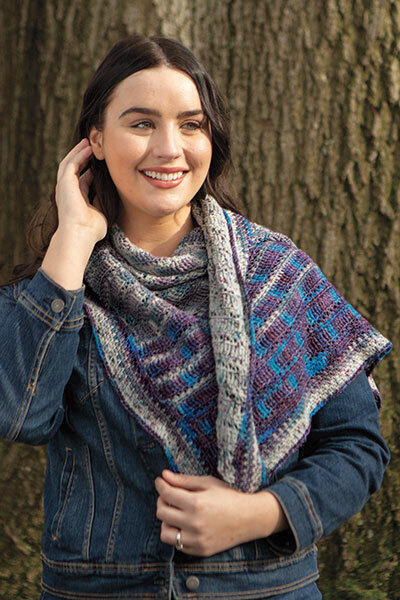 The delicate fan edging finishes off the shawl adding a little more richness. 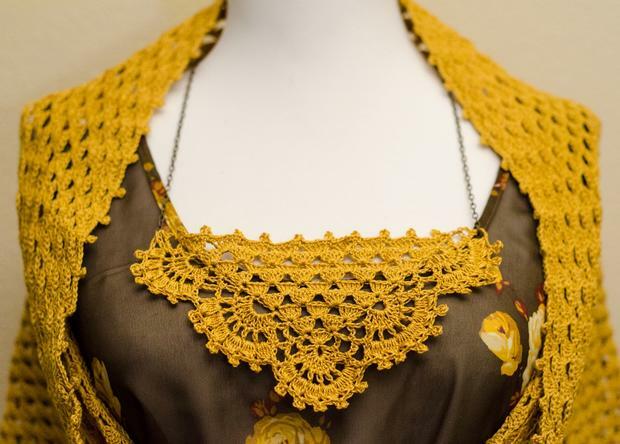 The Gauge Swatch for your shawl is utilized wonderfully by way of a gorgeous Neck Piece. 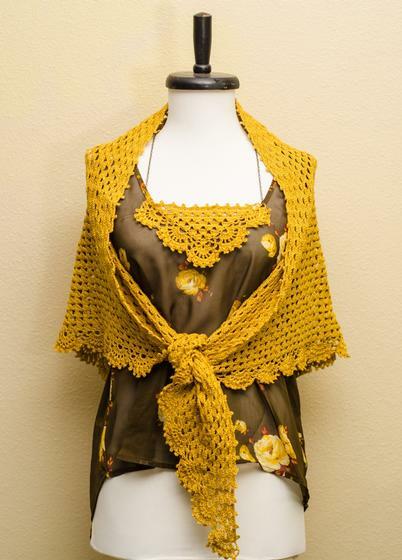 Alternately, you could sew the blocked swatch onto a simple t-shirt for pretty embellishment. 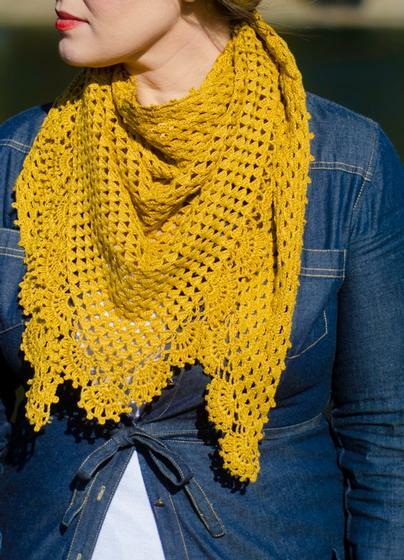 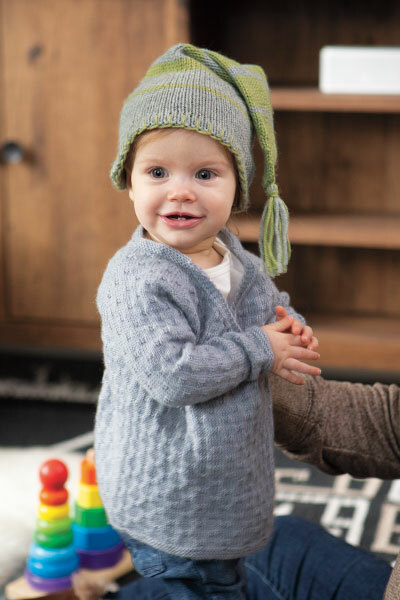 Pattern calls for just (2) Balls of Knit Picks' Curio Thread. Finished Shawl Dimensions: 65" X 26"